Well, it's time for my annual Year in Review post! 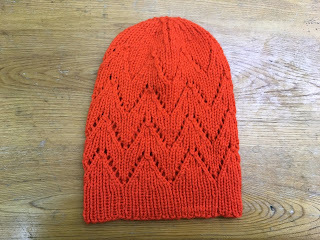 This year I did a lot - I knit 16 garments, 13 accessories (with one more on the needles that should be finished by New Year's! ), a table runner, and I crocheted my toy octopus. All together, I knit (and crocheted) up 18,709 yards of yarn (with another 960 to add to that once my Leventry is done). That's over 10.6 miles of yarn! I released twelve patterns this year, and I'm really proud of what I put out. My Chaverim was something I'd been wanting to try for a couple of years, and my Scrubland Collection is everything I wanted it to be. I've been toying around with Cockle Shells since I was in college, and I've been wanting to design Easy A ever since I first started thinking about becoming a designer. I participated in seven KALs this year (Selfish Sweater KAL, OAL, TTTKAL, Summer Sweater KAL, Hipster KAL, NaKniSweMo, and the GAL) and I hosted my Accessories KAL in my Ravelry Group. I'm looking forward to participating in many of these KALs again in the future, and starting on Monday I'll be hosting my Easy A-long. I didn't set goals for 2017, and overall I'm pleased with how the year went. This year was a hard one, in many ways, but I also managed to branch out and grow in many areas. I started writing regularly again, and started a website for some of my writing. I perfected my bread recipe. I auditioned for my first non-musical play since high school (and got in!). I joined my local handbell choir after not playing for nine years. I don't know what next year will hold. I expect it will be hard in many ways, as the past two years have been, but I'm hoping for more friends, more making, and more small joys to help balance it all out. Happy New Year, friends. I have one more pattern for this year! 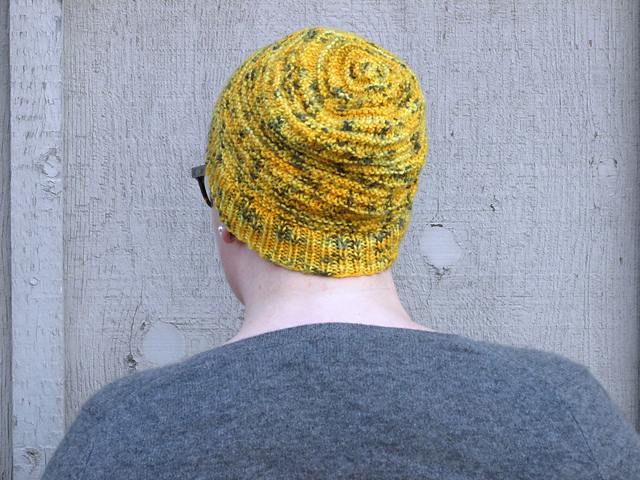 Starkeeper is a light, slouchy hat with eyelets and garter stitch. Using basic stitches and pi shaping for the crown decreases, this hat is a charming, quick knit perfect for variegated and striping yarns. Starkeeper is now available on Ravelry, in four sizes, and is $1 off through Christmas! I finally got FO pictures of my Vianne, and friends, I love this sweater SO MUCH. It's perfect. 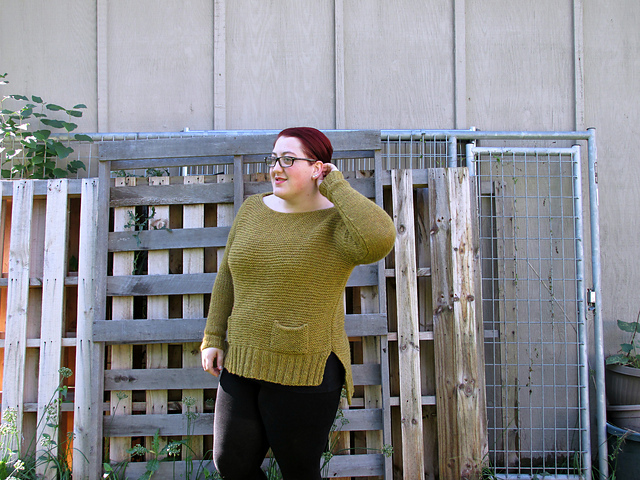 It is the softest sweater I own, hands down, and it came out exactly how I wanted. I got this yarn for my birthday a couple years ago, and I'd had some trouble figuring out the best pattern for it. Because of the 50% alpaca content, I knew that whatever sweater I made would need some lace to keep it from being to warm to wear all the time, and after a couple of false starts I decided Vianne would be perfect, with some modifications. 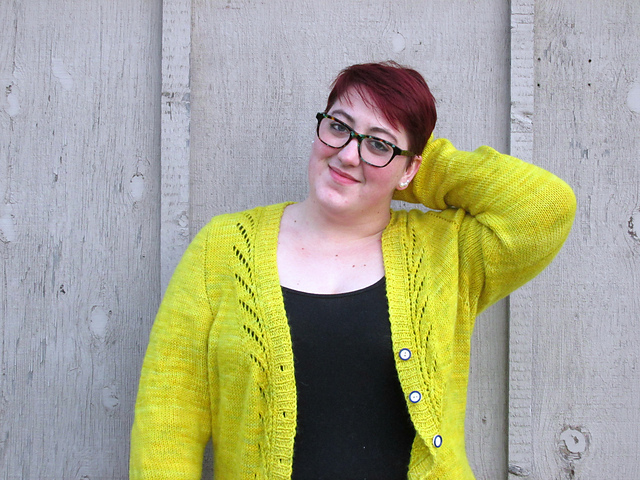 I probably toyed around with different mod ideas for a year - I debated making it into a pullover, adding lace on the sleeves, but ultimately I decided to keep it as a cardigan but make it a super cozy grandpa cardigan. 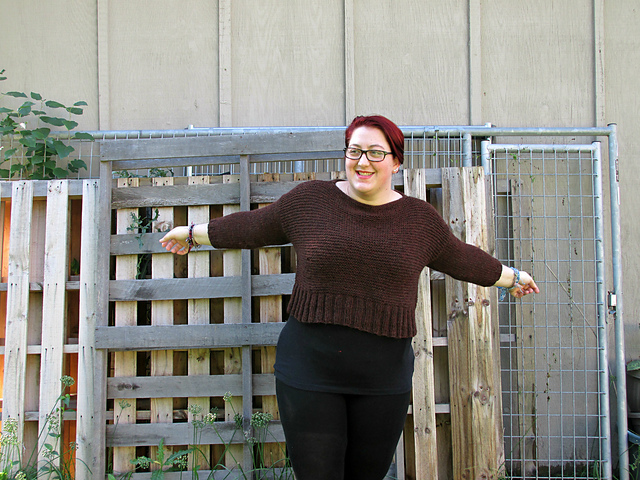 I knit this two sizes up for some positive ease, I lengthened the body, and I made long sleeves. It's almost exactly like my big grey Eddie Baur sweater that I adore and wear all the time, which is exactly what I was going for. 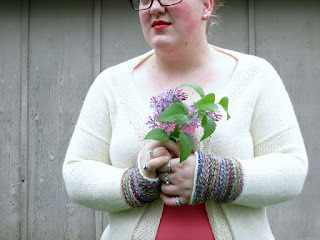 It took a while to find the perfect buttons, but I loved this yarn and the finished sweater so much that I had no intention of half-assing the buttons, and I found these cream and blue beauties from ButtonHive and they're perfect. Yarn: Misti Alpaca Tonos Worsted "3 TW"
I'm still working steadily on my Leventry for the GAL. This is my dedicated lunch/choir knitting, so it's growing pretty steadily. The one gift that I'm working on as part of the GAL is more complex, so that's relegated to the evenings, when I can hide in my room and work on it with conspiracy theory documentaries in the background. I have about eight more stripes before I can start the lace border here, and I keep trying to convince myself that shawl rows don't get longer and it'll be no problem to have the striped section done this weekend. It's going to be a busy weekend for me- my choir's carol service is Sunday morning, and we have a two-hour rehearsal on Saturday to prepare for it, plus we're singing again at the town carol service on Sunday night. Plus I have auditions for the community theater dinner theater show on Saturday afternoon, so I'll be lucky to get much knitting done at all. Are you participating in the GAL? What are you working on now? Easy A is perfect for the dead of winter- it's an easy knit, it works up quickly, and the finished project is super cozy. To usher in the new year, and help us get through some of the doldrums of winter, I am happy to run the Easy A-long in my Ravelry Group! The Easy A-long will start January 1st, so there's plenty of time to pick our your yarn. Easy A is a blank canvas, so it's a great project to try out variegated yarns or play with stripes. 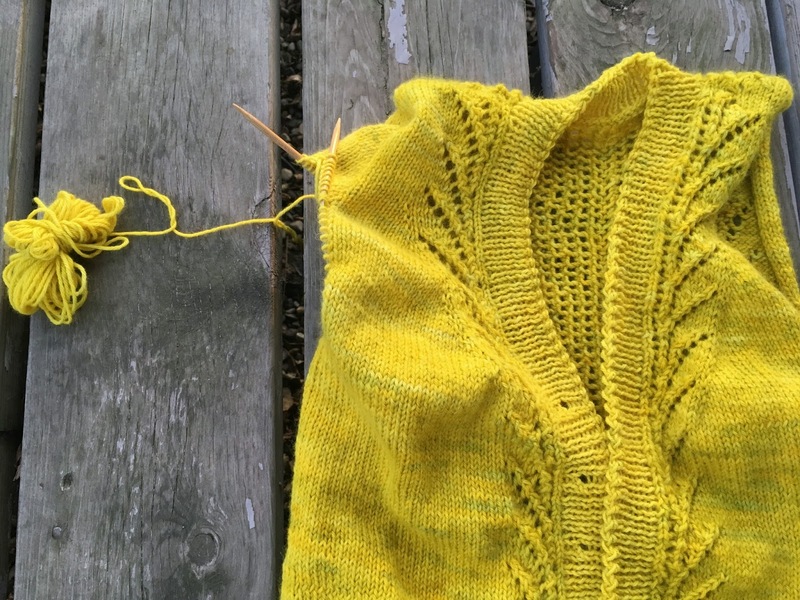 The KAL will run through February 28th, which gives you just over eight weeks to finish your sweater. 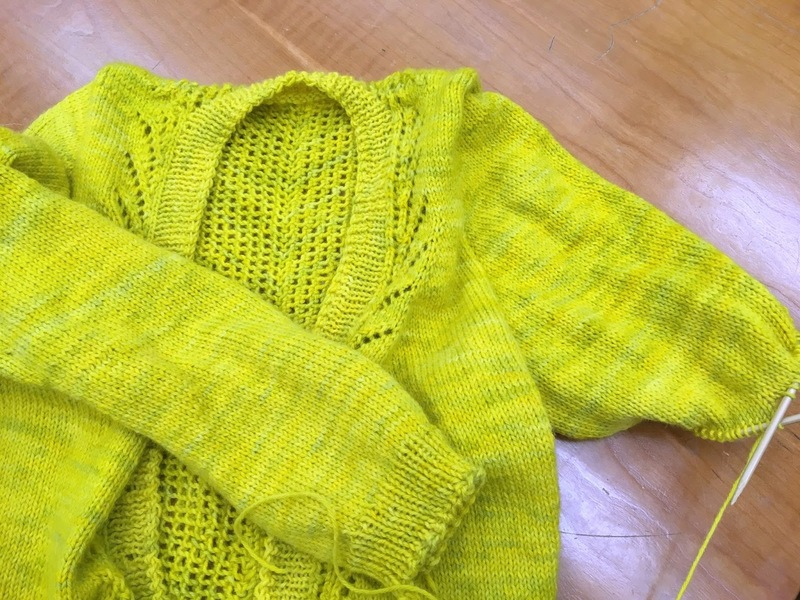 Knit at 14 stitches and 24 rows to 4 inches, this sweater goes by pretty quickly! 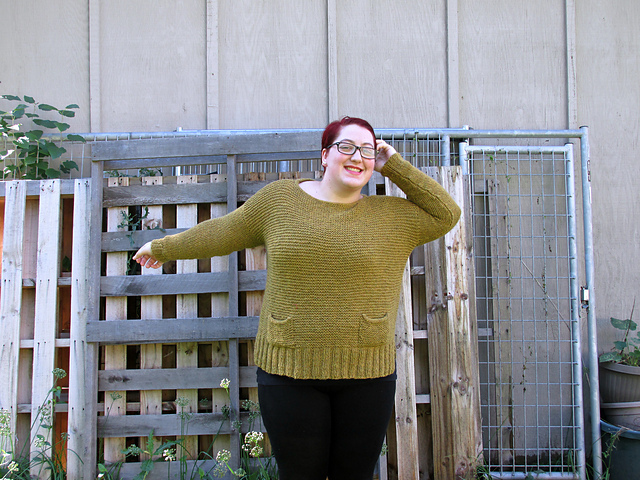 Easy A is knit in pieces and seamed, and the whole thing is finished with an i-cord neckline. Easy A also has tons of options: two body lengths, two sleeve lengths, afterthought pockets, split hem, longer back, and you can mix and match to your heart's content. Easy A comes in twelve sizes to fit busts 28-61 in / 71-155 cm and is designed with four inches of positive ease. 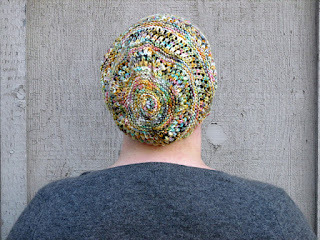 The pattern is 20% off leading up to the KAL using code EASYALONG at checkout on Ravelry. There's also a thread in my Ravelry Group for chatter, and be sure to use the hashtag #EASYALONG on social media! Over the weekend was a baby shower for one of my friends, and I finished my first GAL project for the incoming little guy. 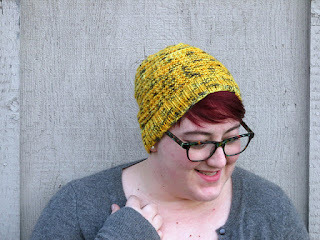 I debated what I should knit for a couple of weeks, and I'm so glad that I decided on Gentle on My Mind by Lee Meredith. 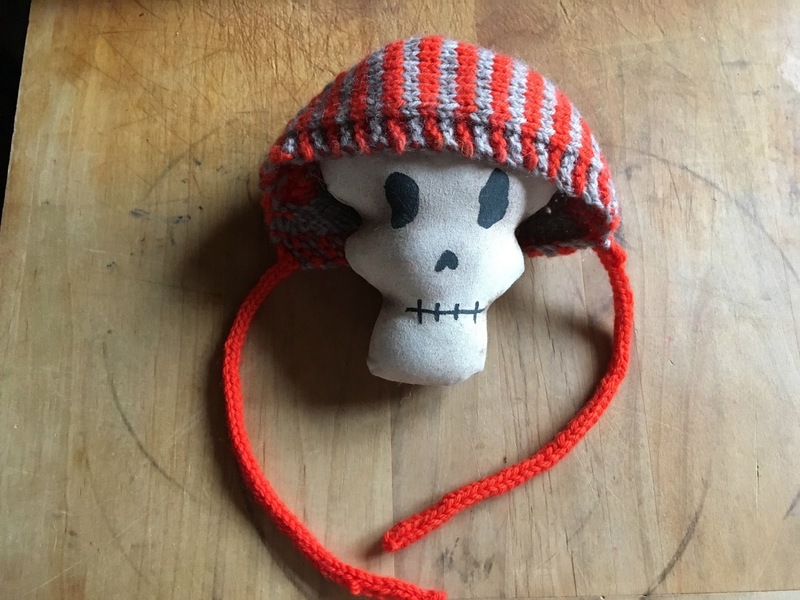 It's modeled here by Skelly, because I don't really have a lot of things that are newborn-head sized, and Skelly is a good sport. This hat has such an interesting construction, and it really challenged and entertained me. I was super confused for a while at the beginning, but I decided to just trust the instructions and follow them line by line, and of course it worked out perfectly. 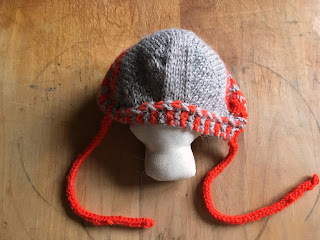 I used some Knit Picks Swish that I had in my leftovers bin- this is probably going to be a January baby, so he needs a wool hat, and it's superwash in case it gets thrown in the laundry due to mom/dad brain. Yarn: Knit Picks Swish Worsted "Squirrel Heather" and Swish Brights Worsted "Hot Tamale"
For those of you following along at home, I did manage to finish my NaKniSweMo sweater with two days to spare! Buttons are en route, and I'm planning on blocking it this weekend, so hopefully I'll be able to share real pictures of it soon. Now that that's done, I can really dive in and focus on GAL fun. 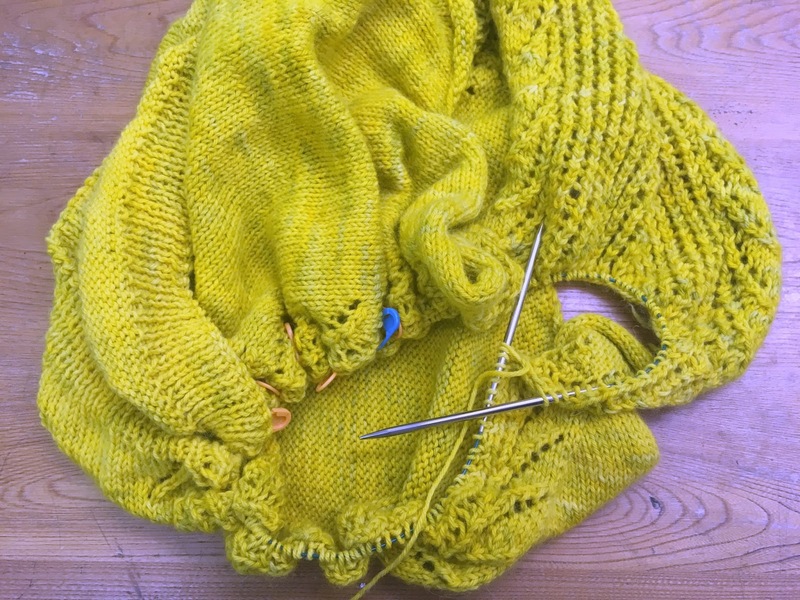 Last night I finished the Top Sekrit baby knit for my friend, and I'll be able to share that with you next week, and I've been going to town on my Leventry. I've been in love with this pattern for ages, and I'm having such a blast knitting it up in the GAL forums. I have one actual xmas present that I'm knitting, and I started that one last night. I am a little bit nervous about finishing it on time, but as long as I work on it for at least an hour or two every day I should have no problem getting it finished. I have a new cowl pattern out this week! 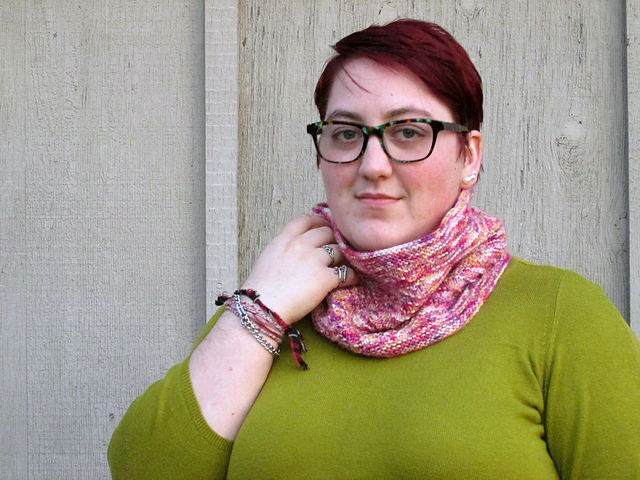 Chandler Bridge is a quick lightweight cowl with a textured chevron pattern and features a garter stripe section. Chandler Bridge is named for the Oligocene formation in South Carolina, which is a popular fossil hunting site, and a rich source of information about prehistoric marine life, including sharks, whales, turtles, crocodiles, and marine birds. Chandler Bridge is worked seamlessly from the bottom up, and the texture pattern has both charted and written instructions. 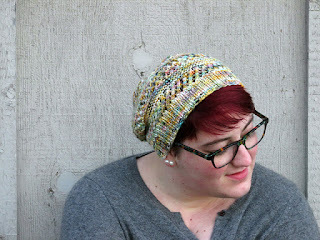 Chandler Bridge is currently $1 off on Ravelry, through Monday, December 4th! Fellow USians, I hope you had a good Thanksgiving filled with food and friends and family! We ate Thanksgiving dinner three days in a row, and our leftovers are finally down to a manageable level. Anemone came down for a few days, and we squeezed in plenty of baking and crafts while she was here. I managed to get quite a bit done on my NaKniSweMo Vianne over the long weekend- I have about half the second sleeve left to go, so hopefully I'll be able to bang the rest out tonight or tomorrow. I do not have buttons for this yet, as I have not found the perfect ones despite looking everywhere, but as soon as this sleeve's bound off and the ends are woven in, I'm calling this one done. 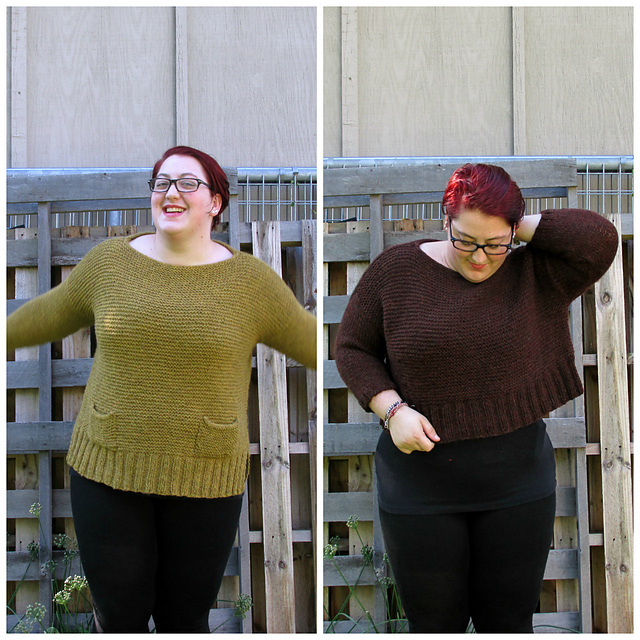 Last night I wound up my GAL yarns in anticipation of finishing this sweater soon. I'm really looking forward to actually knitting some GAL projects instead of just commenting on everyone else's! 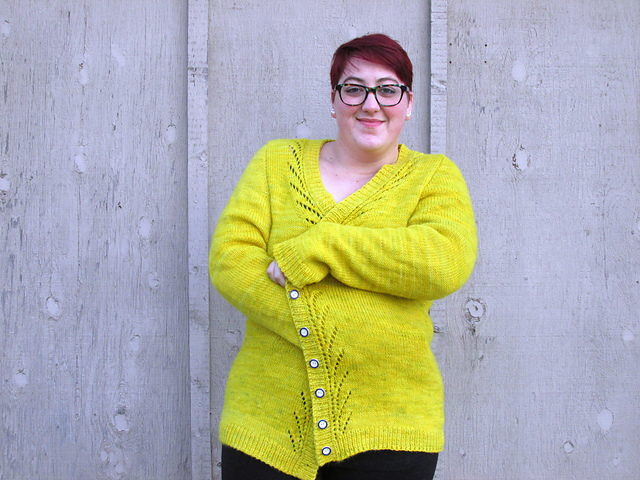 Quick reminder that Tuesday, November 28, at 11:59 pm US-EST is your last chance to save 25% on select patterns for the Indie GAL with code "GIFTALONG2017"! My sale bundle is here, and the big bundle of all eligible designs is here. Happy Gifting! It's the most wonderful time of the year! Last night was the launch of the 5th Annual Indie Design Gift-A-Long, and I'm so excited to be back as a participating designer. I participated back in 2015, and I missed last year for a whole bunch of reasons, and I can't wait to make up for lost time. 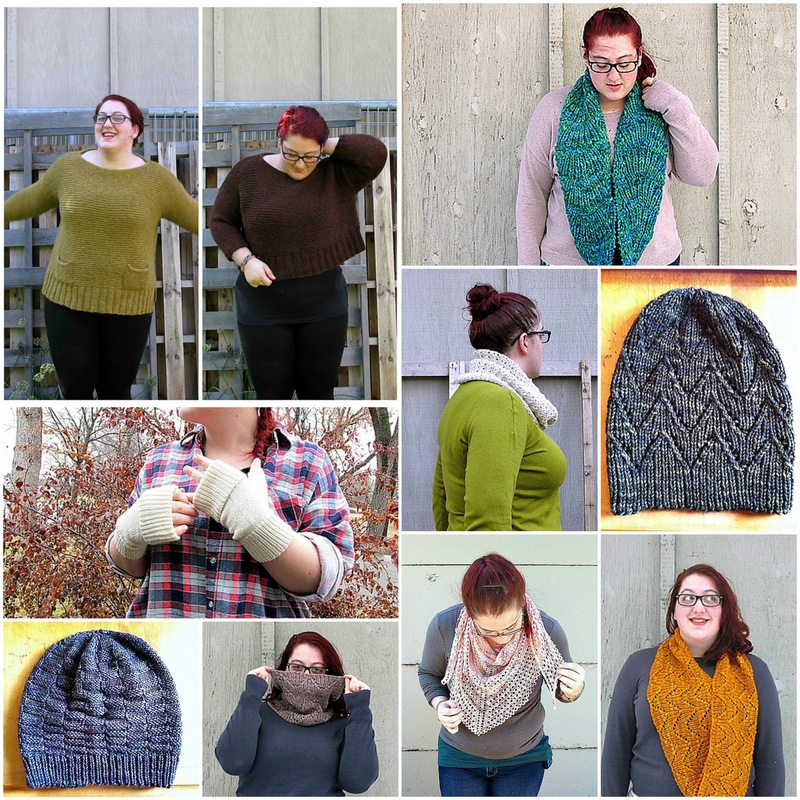 We're in the sale period now, and the GAL Sale Bundle is full of amazing patterns that are 25% off with code "giftalong2017" through Tuesday, November 28! I'm looking for a few different things this year. 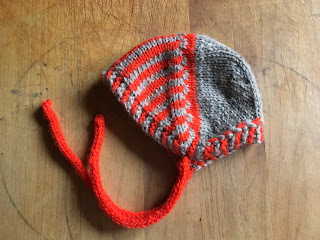 I need a gift for my mum, and I need a quick baby knit for my friend's baby shower in a week and a half. 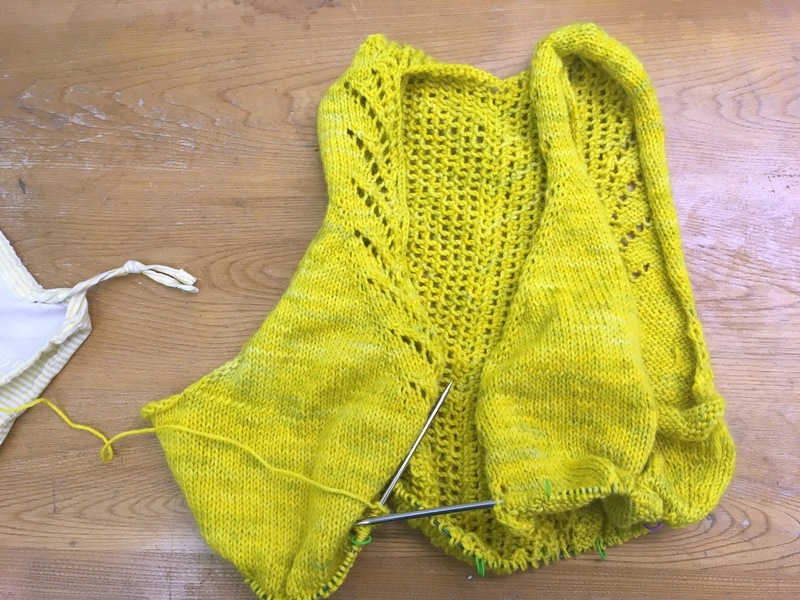 I do have two selfish projects already picked out: I'm going to be knitting a Viola by Noriko Ho and Leventry by Sarah Jordan. I've had my eye on these patterns for ages, and I'm super stoked to finally make the time to knit them up. I'm definitely keeping my eye out for more great patterns to stock up on and knit during all the fun. 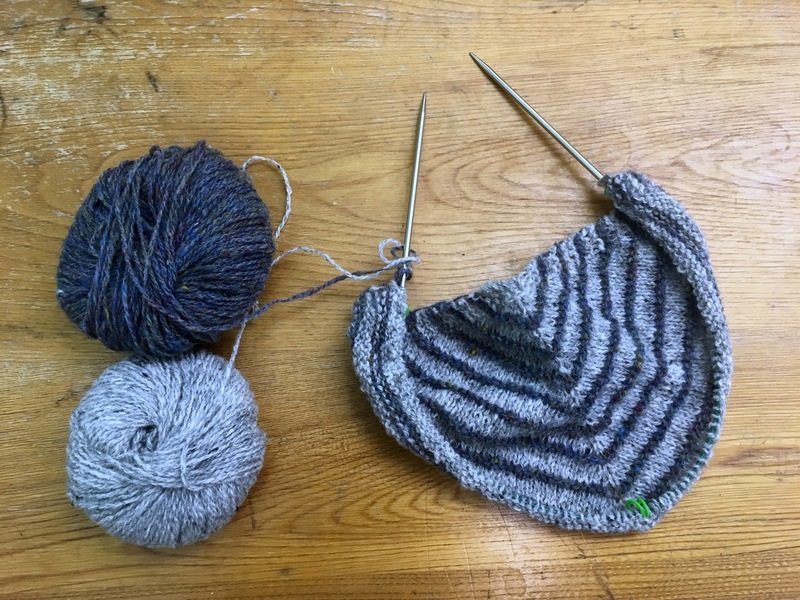 The KAL/CAL portion lasts through December 31, so there should be plenty of time to cram in as much knitting and fun as possible! 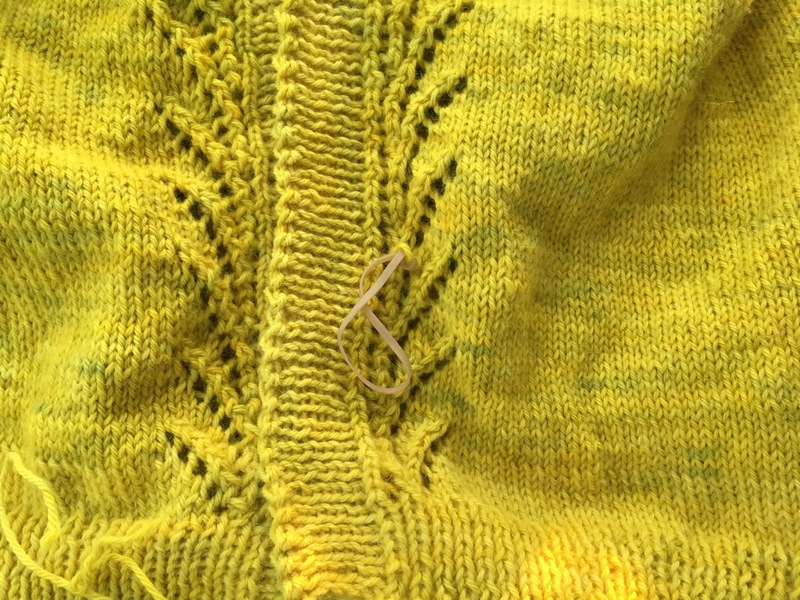 I ran into a hiccup with my Vianne yesterday- with just one more row left on the button band, I convinced myself that I really had picked up too few stitches for it. So, I ripped the whole thing out, picked up 50% more stitches, and plowed through again. It looks much better now, and my buttonholes are spaced out better, and I am really happy that I ripped it out and started over. I started the first sleeve cap last night, and I'm really happy with how it's looking so far. 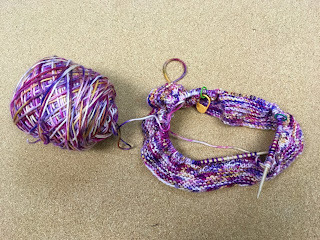 I'll be able to start knitting the sleeve in the round sometime this evening, and I probably need to get the first sleeve done by this weekend in order to stay on track. I don't think that will be too much of a problem, and I should have plenty of time to finish and block this before the end of the month. I did find a dropped stitch yesterday morning when I was working on the button band for the second time. It looks like it got missed when I was trying to do a k2tog in the lace section, and while it could have been in an easier place to hide, it should be a pretty quick fix. 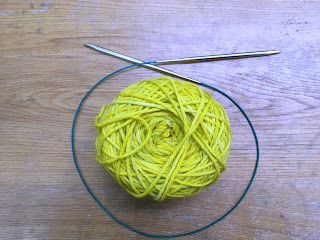 I didn't have a locking stitch marker on me at the time, but I found a rubber band in my purse and secured the loose stitch with that- thankfully I found it before it dropped down further! Last night after a Netflix marathon, I bound off the body on my Vianne. 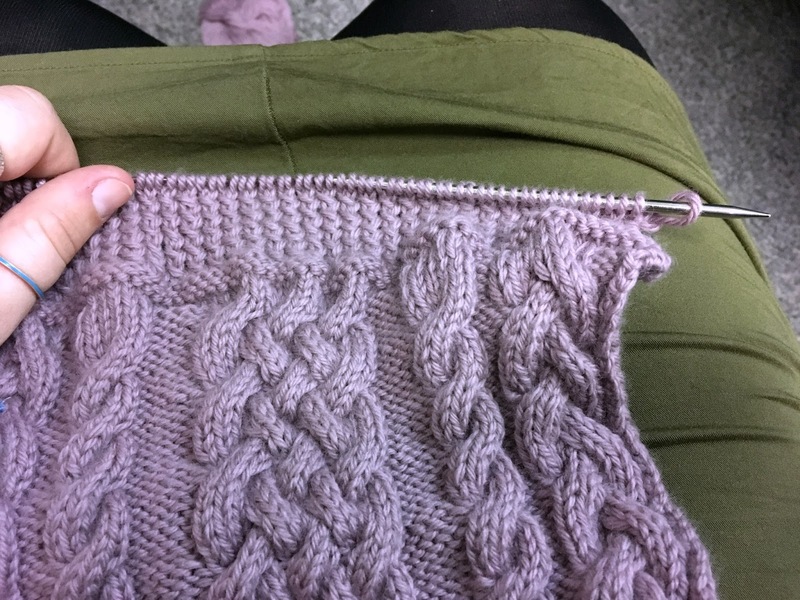 I decided to pick up for the button band next, instead of going on to the sleeves, because the first secret of Successful Knitting is to Know Thyself, and I know that the last thing I want to do after slogging through two sleeves is to pick up another few hundred stitches. 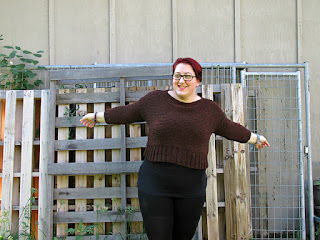 According to my spreadsheet, the body was about 60% of the whole sweater, which puts me in a really good place for finishing on time, as long as I don't lose any motivation during the sleeves. I will admit, this has been going so well so far that I am feeling a bit more apprehensive than usual about the sleeves. 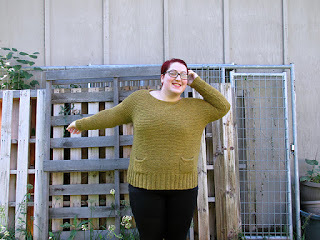 But I also need to start thinking about xmas knitting and an upcoming baby shower for a friend, so hopefully having those things looming in the near future will help me churn the sleeves out really fast. 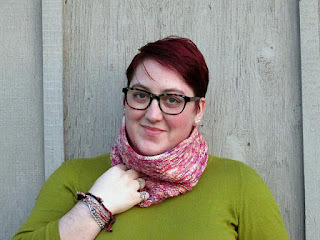 Today is the halfway point in the NaKniSweMo KAL, and I am doing pretty well. 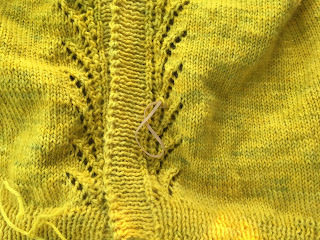 I have one more hip increase to go, then a couple more body inches before the bottom ribbing. 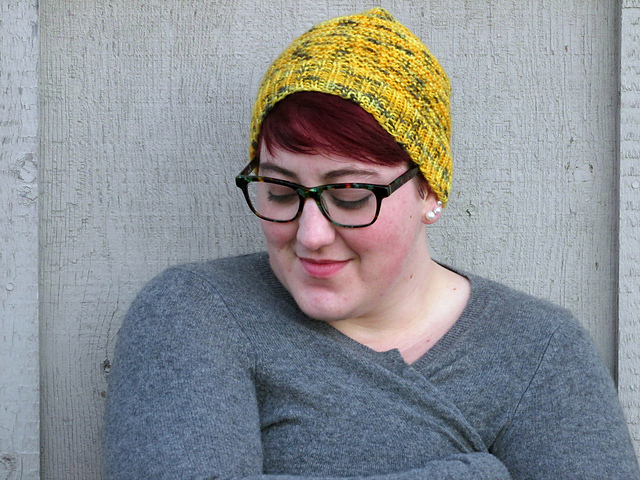 I'm still having a blast knitting this- the yarn is so soft, and all the different yellows make me so happy. 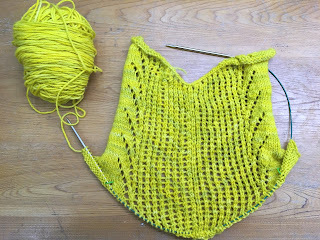 I'm hoping to have the body done before the weekend, which should be doable if I get some good evening knitting sessions fit in. 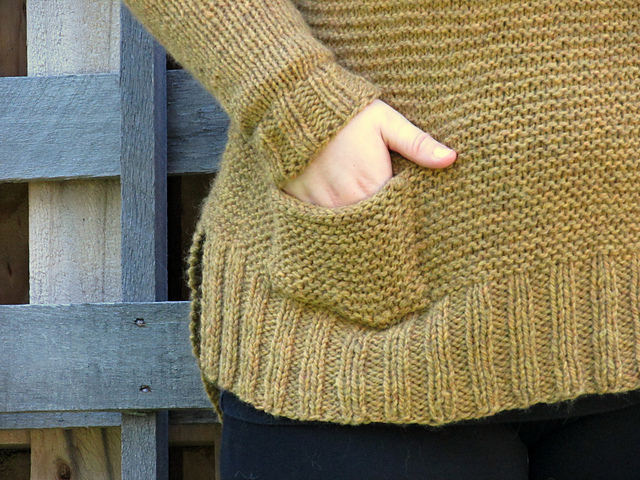 This sweater is finally starting to get just a bit unweildy to carry around- I have it in a small project bag now, but I'm going to have to swap it out into a bigger one very soon. My progress spreadsheet is really helping me stay motivated and focused on this, so I'm hoping I won't hit a point of despair during the sleeves. My NaNoWriMo project is also going pretty well. I'm just a couple hundred words from the halfway point, and my main story is almost finished. Once I'm finished with this main part, I'm going to write a prequel about my villain, and that should get me up to the word count for NaNo. I'm really just thrilled to be finishing my novella, but my competitive streak won't let me quit until I hit 50k words! I am all about big, chunky accessories right now. I can't get enough, I will keep piling them on until I look like a big woolly laundry pile. 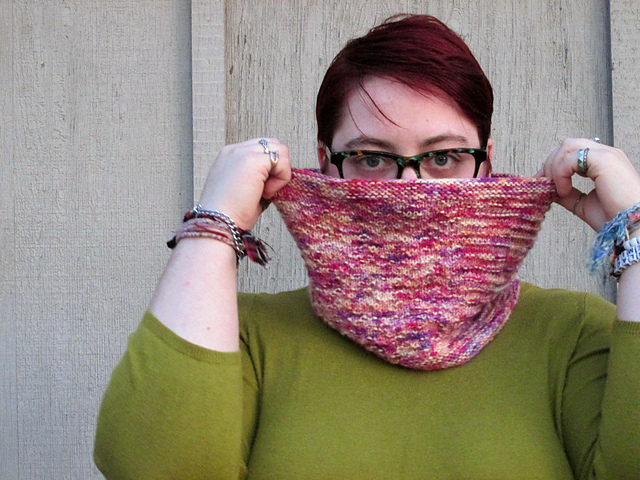 Zowza is a thick statement cowl with a cabled chevron pattern. 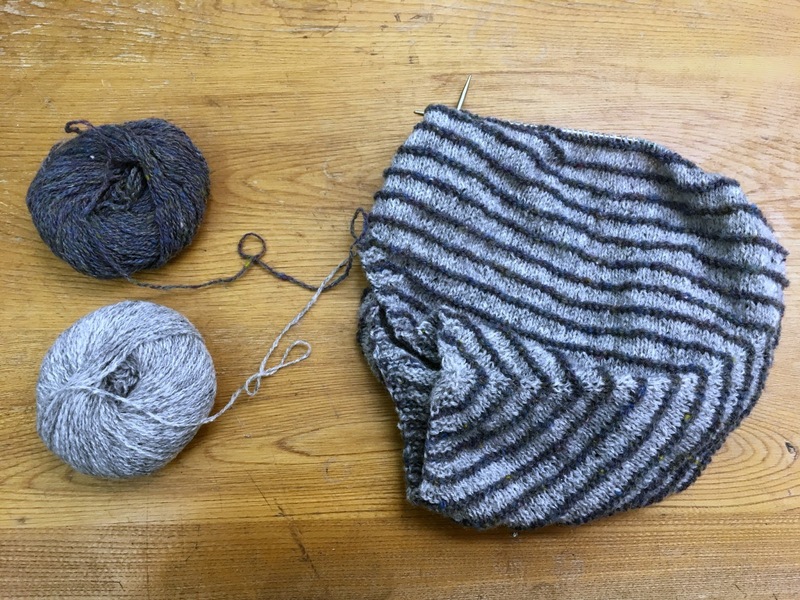 Knit out of a super bulky wool yarn, This cowl is great on its own, layered over smaller cowls, or pulled down around your shoulders. 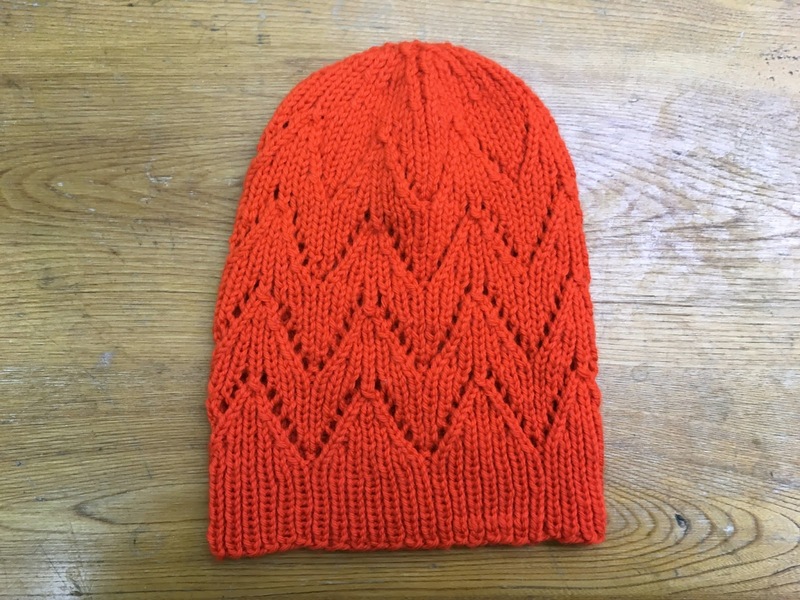 Zowza is knit flat from a provisional cast-on and grafted. Zowza is available on Ravelry now, and is $1 off through Saturday, November 18, no code necessary. According to my spreadsheet, I'm about 30% of the way through my Vianne for NaKniSweMo, which has me feeling really good. I'm doing my best to not get lulled into a false sense of security, though- I know I have to keep steady on this to have a chance of actually finishing it this month. 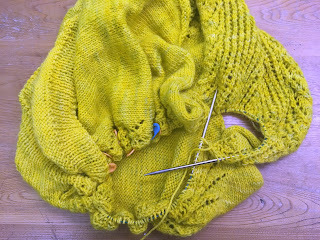 The sleeves are almost certainly going to be a challenge, and they're going to be a third of the sweater. Right now I'm almost finished with the waist decreases, and since I'm modifying this to be a hip-length cardigan, I'll get to coast along for a few inches before starting hip increases. I'm also making good progress on my NaNoWriMo novel! I'm at 13,667 words out of 50k, which puts me just a tad ahead of schedule. I didn't manage to write much over the weekend, but I've been trying to get at least 2k words every day during the week, so I had a bit of a cushion to tide me over. I'm having a lot of fun with both projects, but it's definitely making my November really crazy already, and we're only a week in! 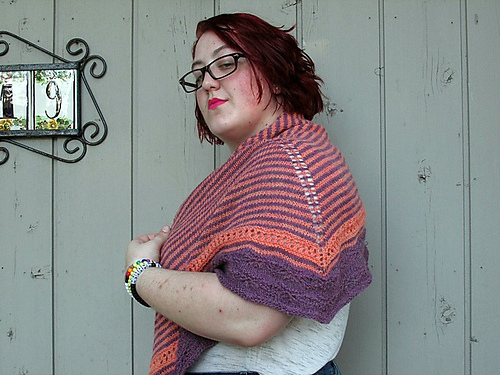 Today is the last day of the 2017 Fall Accessories KAL, and I can't wait to see everyone's projects! 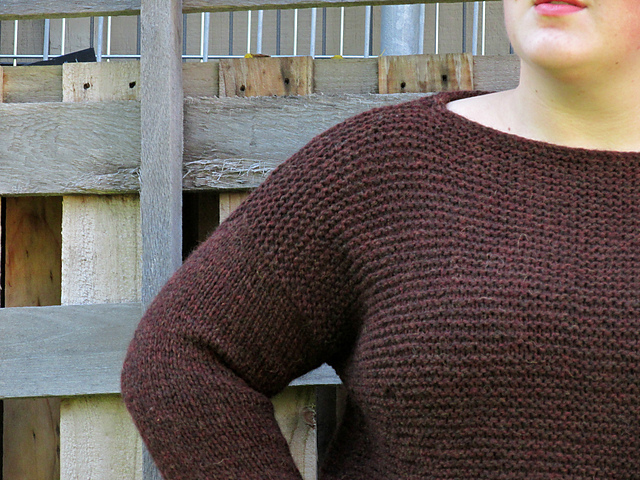 I finished my Gorham over the weekend, and I am thrilled with it. 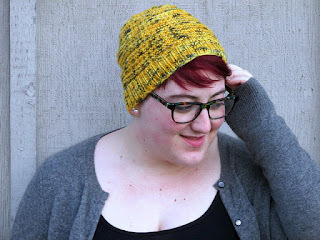 This is definitely going to get lots of wear this fall, before it gets too cold for lace hats! Everyone has until 11:59PM tonight in your own time zone to finish your projects! 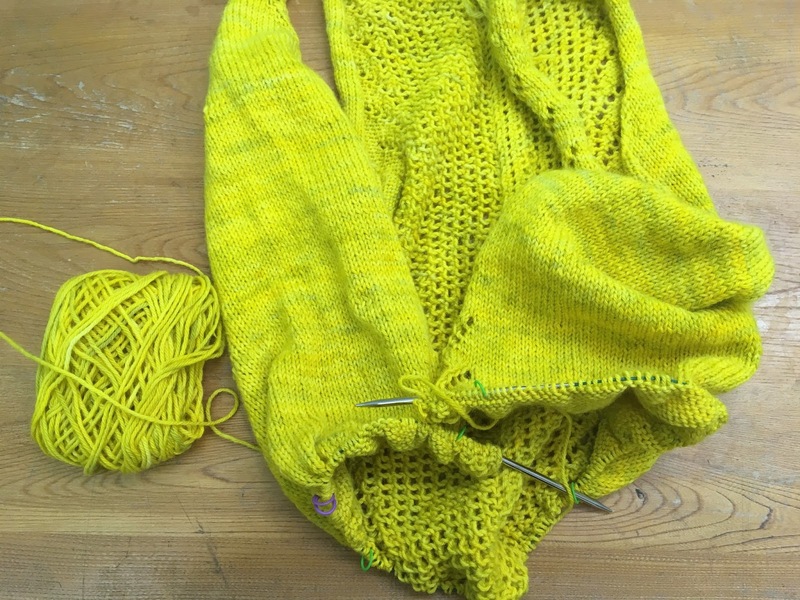 Finishing means binding off and weaving in ends, but you don’t have to have them blocked. Since life happens and we're all busy, I'm letting everyone have through Friday, November 10 to post in the FO thread. I will announce prize winners next Monday! It's the third day of November, and I am making pretty good progress on both my novel and my sweater. I made a handy little spreadsheet to keep track of all my stitches and calculate the percentage of each part of my sweater, and I'm just short of 10% complete, which puts me in a great position for finishing this month. 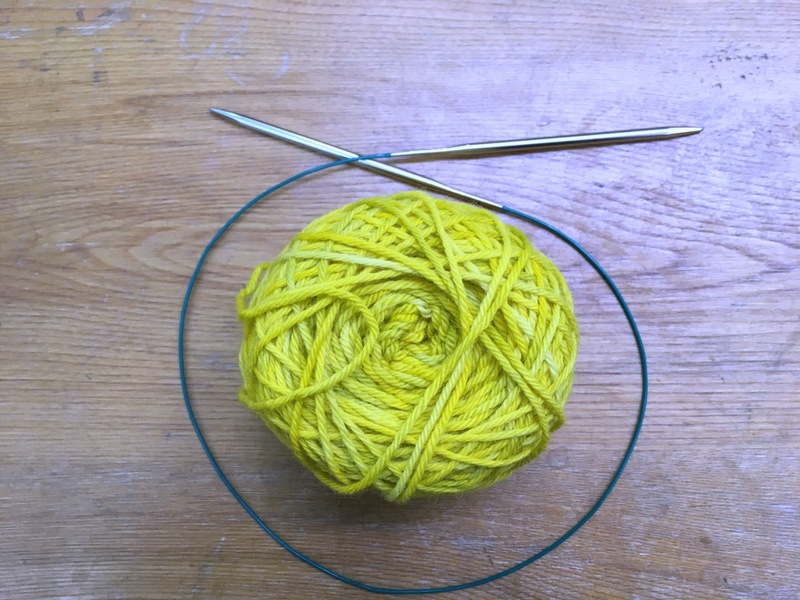 I'm not sure yet if I'll need to tear my house apart to look for my missing eighth ball of yarn, but I've marked on my spreadsheet how far this first ball will need to go for me to call off the search. I've had two good writing days as well, and I'm hoping for a few more before it starts getting difficult. I'm at 5,728/50k words so far, and I'm having lots of fun with my main character and story. My goal is to write every day, but tomorrow is the annual winter bazaar up in the city, so I know I'll probably only get a couple of paragraphs written. 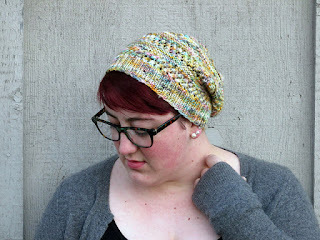 I also finished my Gorham for the Wayward KAL, and it just needs ends woven in and photos taken. 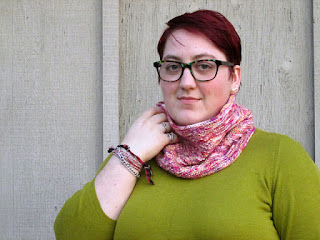 I have a couple of cowl patterns I'm working on writing up that I want to get ready for editing this weekend as well, but with the bazaar taking up most of tomorrow, I'm not going to worry about pushing myself too hard. And now it is November (how the heck did that happen??? 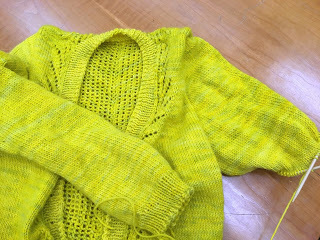 ), and I am ready to cast on for my NaKniSweMo sweater. I finally swatched last night, and pulled out most of the yarn (I know I have another ball somewhere, but I can't find it, and it's stressing me out because I'm sure I'll need it). 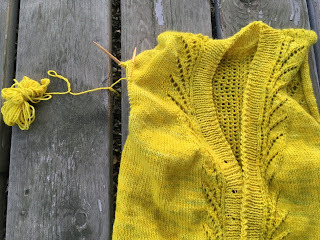 I have knit a sweater in less than a month before, but it's been a while, so we'll see how this venture goes. I also have to start my NaNoWriMo novel today. I'm feeling pretty good about it, but having two big projects starting at once is a little bit foreboding. I tend to have a lot of trouble focusing on one big project for any length of time- I'd rather work on several smaller projects. But this month will be a good workout for my brain, and I love the communities that build up around these endeavors, so I'm going to try my best to finish my sweater and my novel. I'm trying to get ready for November- I need to dig out my NaKniSweMo yarn, but I've already printed out the pattern, and I've already planned out a significant chunk of my NaNoWriMo novel. Now I'm sitting in a kind of holding pattern, waiting for November 1. I'm not generally a patient person; as soon as I'm ready to do something, I'm usually going to start right away, so it's strange for me to be ready to go on two big projects and to not have started. 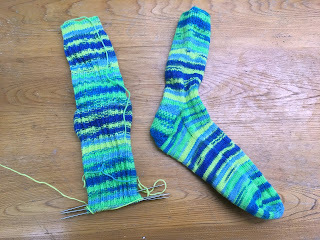 Given that I have to pass the time until Wednesday somehow, I pulled out an old sock project to try and finish up. I started these back in January 2016 (!! ), and I've got about an inch left on the foot before the toe. 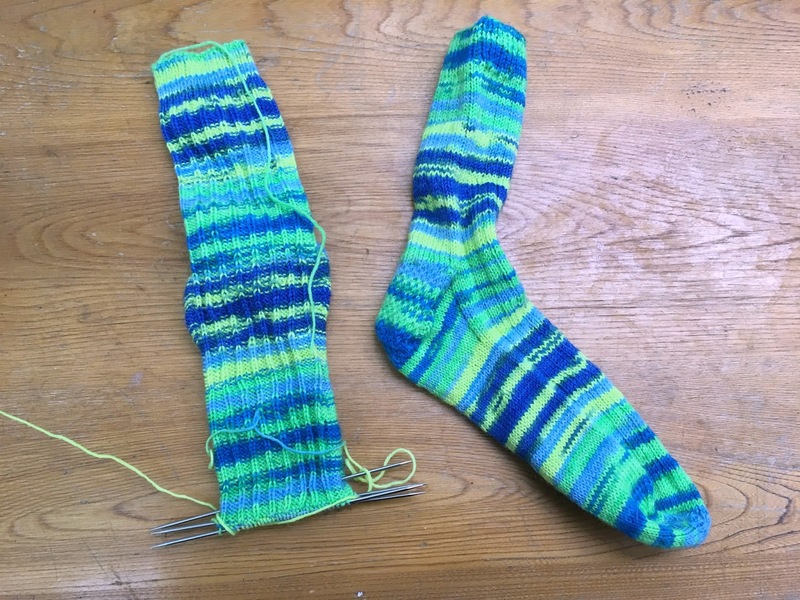 It's finally cool enough for wool socks, and I'm really looking forward to having a new pair off the needles. This weekend is going to be pretty busy for me. Tomorrow night is the All-State Concert, which my brother is in, so I'll be going to that, and then the HS theater club haunted house is Sunday and Monday, and it sounds like I'll be helping out with that again. Anemone will also be coming down to visit, watch Halloween movies, and come to the haunted house, so overall it's going to be a pretty good weekend. I'm currently actively working on eight projects, and I have at least another fifteen that are "technically WIPs, but I'm not actively working on them right now, but they're not quite in hibernation," so of course the best thing to do was cast on for a new cowl. 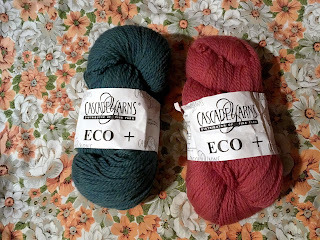 I've had this yarn percolating in my stash for about a year now, and after some poking around in some of my idea notebooks and mood boards, I knew what I wanted it to be. 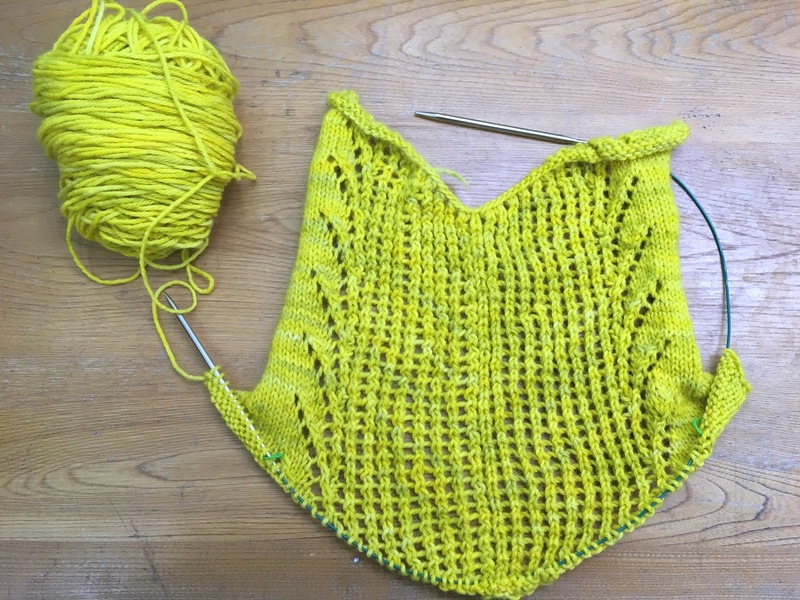 My current design projects are all pretty big, so it's nice to have another small project on the needles. 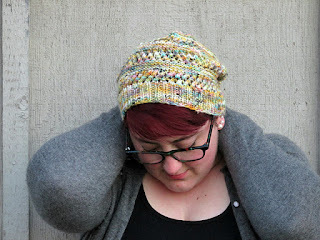 This yarn is delightful- it's so soft and squishy, and the flecks and speckles of color have me completely charmed. It's a bit more pink in person than I managed to capture here, and it's exactly the kind of yarn that makes me smile every time I see it, so I really can't wait to have it all knit up!